Neftali and his family are fortunate to own good, wet land, but until recently they were unable to make the most of its potential. Long, dry spells - coupled with a lack of funds to buy seeds and inorganic fertilisers - meant that Neftali could do nothing with his land other than try to rent it out. Instead of earning a living from their land, Neftali and his school-age son scratched out a living by doing casual work for other people, leaving their own field unattended. Eventually, his son had to drop out of school to work full-time with his father. But life changed for Neftali and his family when they became involved with United Purpose's ENGAGED programme in 2015. As a result of the programme, Neftali was able to take out a small loan to buy 100kg of fertiliser and 600kg of potato seeds. He stopped renting out his field to other people, and started to use his land to grow potatoes. After successfully repaying his loan in full, Neftali took out another loan to invest in improved crop seeds and fertilisers to increase his production levels. Now, as well as using his own field, he even rents other fields himself. After planting and harvesting crops for three seasons, he has made over MK 1.2 million (approx. €1,373). As a result of the loans from UP, Neftali and his family have hugely increased their productivity, and they now have the capacity to produce enough food to last them over 12 months. "[Before], I had human capacity, but only lacked financial support and technical know-how," Neftali explains. "[I am] thankful to UP and the Agriculture Extension Worker, Mrs Limbani, for jointly assisting me and moving me out of poverty." Neftali is now a member of the Chidzakala Irrigation Club (as part of United Purpose's ASPIRE project) and also of Chidzakala Village Savings and Loans group. He has used his profits to make an exciting and financially savvy purchase - a shiny new motorcycle, which he uses as a taxi to earn extra cash. And his entrepreneurial spirit shows no signs of waning going forward. He has recently bought livestock - a pig and two goats - and he is also experimenting with growing winter crops. "I can now afford school fees for our daughter at secondary school and live a deserving life," Neftali says with a smile. UP's ENGAGED and ASPIRE programmes were both funded by Irish Aid. 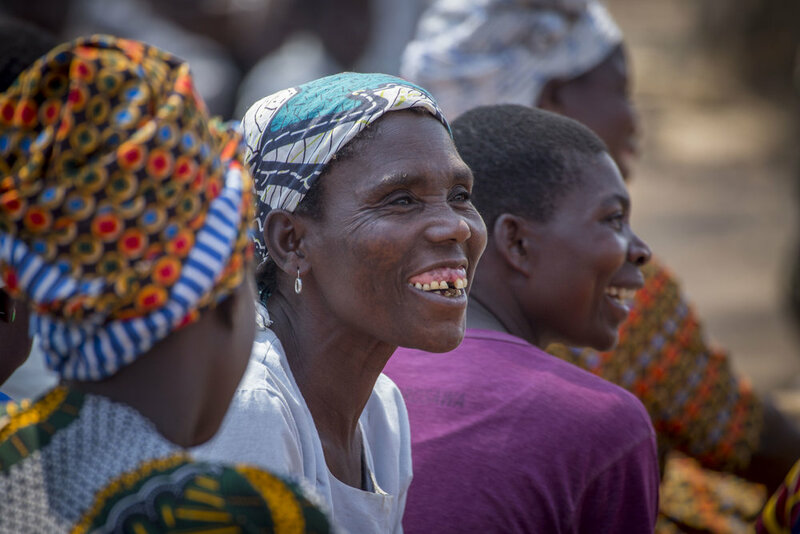 ASPIRE is a long-term food security and livelihoods improvement programme (running until 2020), targeting 25,000 households in Dedza, Malawi. Neftali is just one of 25,000 people receiving similar support.